I recently asked my students: If you were to draw the sun, what would it look like? Most people answered that they would draw a circle with some indication of sunrays to represent the sun. We looked at sun representations from various peoples: Japan, Tibetan, Mayan and Native American. All images had a circle center with outward vectors. 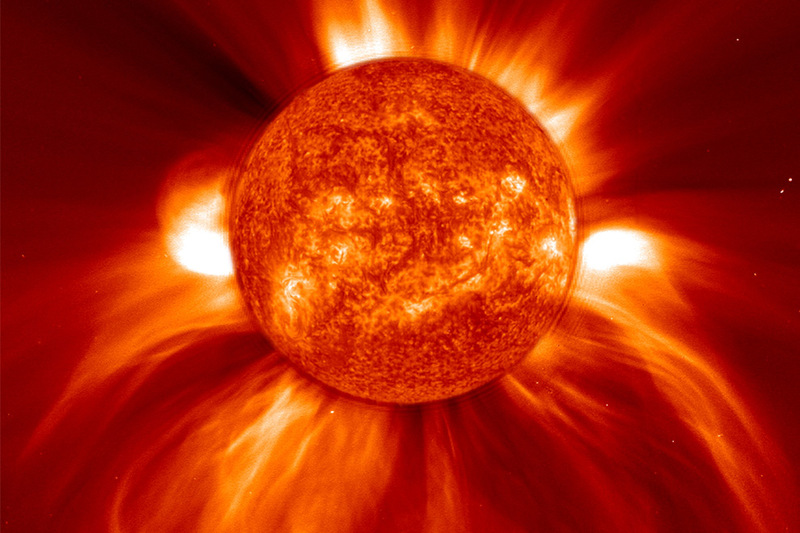 If you were to use color, what colors would you use to represent the sun? Most people answered that they would use yellows, oranges, fiery reds perhaps. Our friends from all around the world do, too. 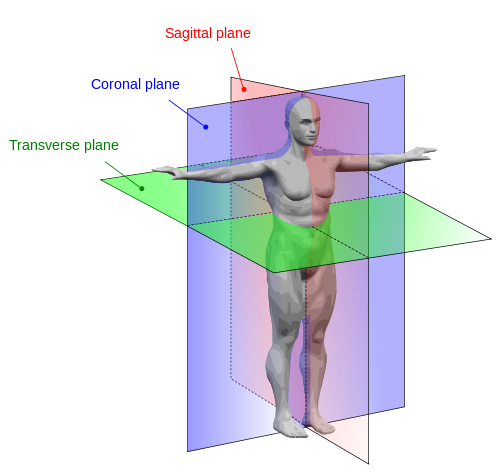 Just like the representations we might draw of the sun, early anatomists over-simplified human movement potential in an effort to organize the body by defining three planes of motion: sagittal, coronal, and transverse. You can guess how this analysis is limiting. It cannot accurately describe or analyze our range of movement, from giving someone a hug to dancing a phrase of choreography. True three-dimensionality moves through all three of these planes simultaneously. The sun, a three-dimensional planetary body, has a core, layers, and even outer force fields we cannot see. It produces a powerful, spiraling, magnetic force that swims outwards and interacts with other planets in our solar system. The reality of this force-field puts those measly vectored rays we draw on our circular suns to shame. Human anatomy also has a "core." Maybe we imagine it deep within our abdominal wall, or maybe it is synonymous with our pelvis or spine, our heart or brain. We can imagine starting energy that deep within and carrying it outwards, radiating our rays of energy into space and affecting our friends or strangers on the street. Paradoxically the practice of yoga, which honors the importance of bringing an awareness to shared space, also encourages the study of kosas. Investigating the kosas or "sheaths" suggests that we can start at the physical body (anamaya kosa) and travel inwards, passing through the energetic body (pranamaya), mental body (manomaya), intellectual body (vijnanamaya), and subtle body (anandamaya kosas). That we should reach outward from our core beings and radiate our compassion and inner selves, but that we should also go inward in our practice to deepen our human experience... this seems confusing, doesn’t it?